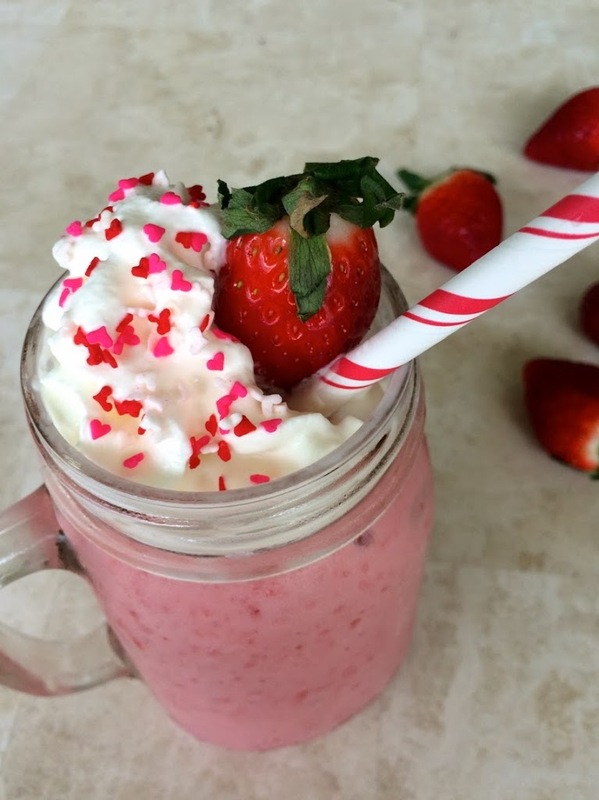 This Strawberry Heart Milkshake is perfectly pink and filled with strawberry flavor. 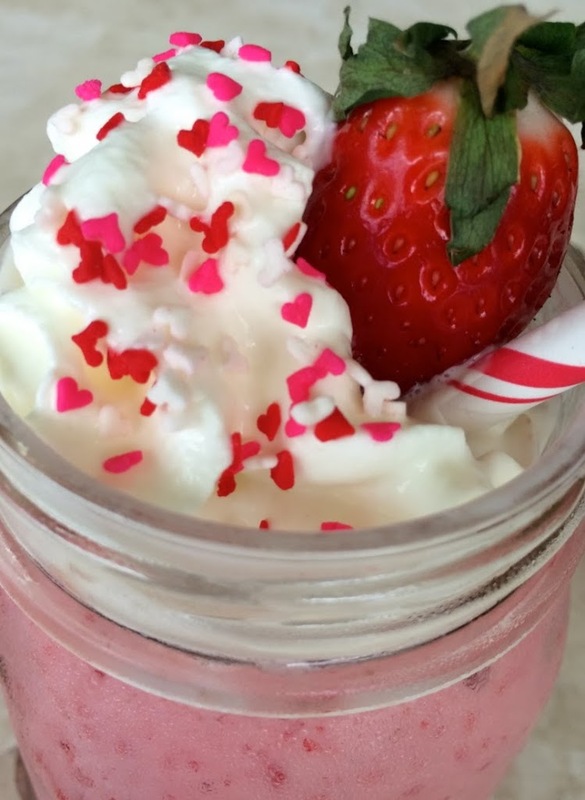 Top it off with whipped cream, and heart shaped sprinkles for a fun Valentines Day treat. I made this in my Vitamix mixer (my new favorite kitchen gadget!) but you can use whatever blender you have, just make sure all of the ingredients are blended well together. 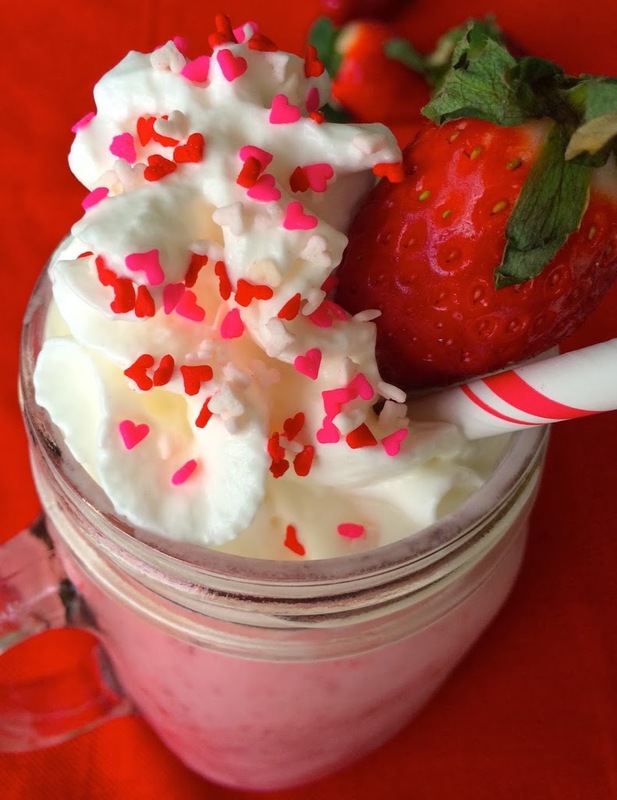 Milkshakes are a fun item to serve if you are having a Valentines Day party, a yummy desert for your sweetie or even a fun breakfast for your kids on the 14th – If you’re feeling extra sweet! With Valentines Day just around the corner, shades of pink and red are popping up everywhere. 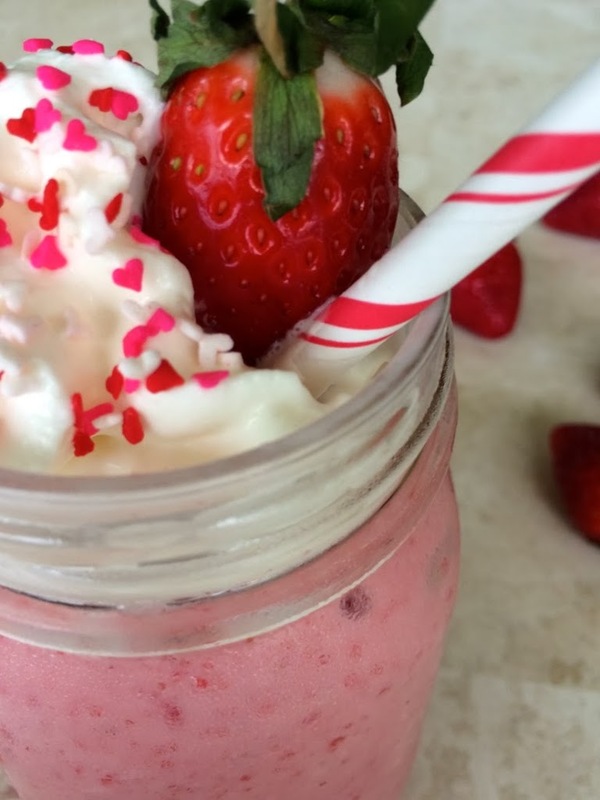 Up until the 14th I’ll be posting my favorite V-Day treats, and there will be everything from breakfast and dinner ideas, festive drinks, and my favorite deserts! Place ingredients in Vitamix in order of list. Secure top. Switch machine on and allow to complete program. Use tamper to press ingredients into blades. Makes two servings. 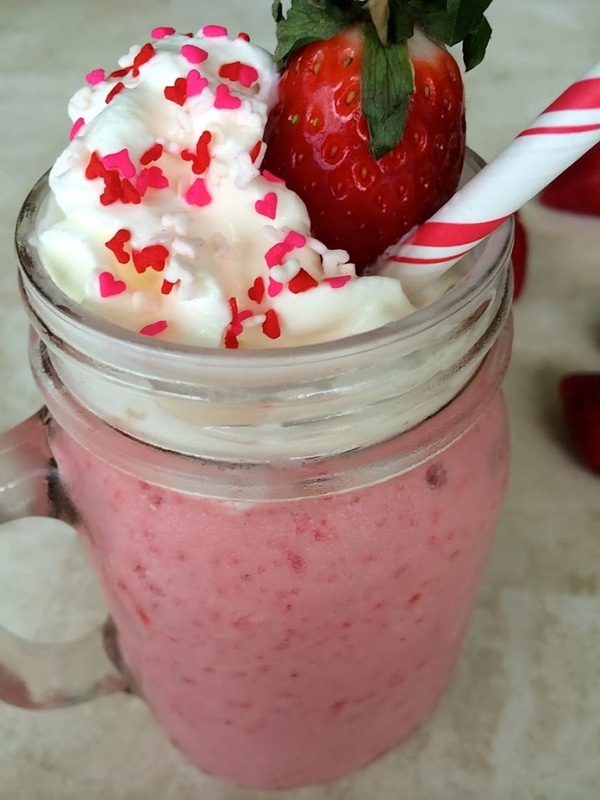 Recipe is adapted from Vitamix cookbook.